Witches in fairy tales are always jealous and spiteful. That was just how Hans Christian Anderson saw them. All the witches we know are pretty rad. Take this trendy spellcaster, for instance. She's always there for her girls. When someone's toad of a boyfriend fails to show for a date she's there with a bottle of wine and a forgetting spell so her friend can finally upgrade. When one of the crew is nervous about an interview for her dream job, this witch won't hesitate to slip a confidence charm into her friend's blazer pocket. Her friend group doesn't even have to deal with drama, she spent one Saturday at home, casting a spell to banish bad energy and the girls have been thick as thieves ever since. Want to some of that lovely, witchy energy in your life? There's no need to invest in that cast iron cauldron quite yet! 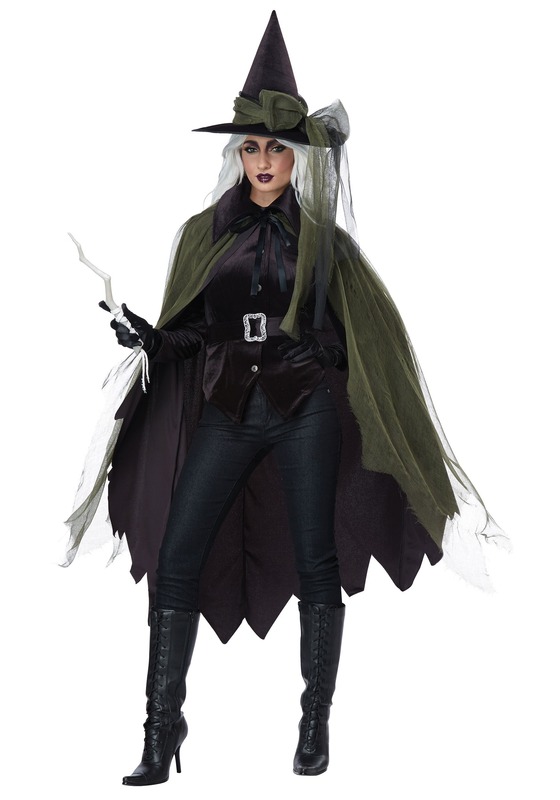 Try on this fashionable witch costume for a night and see how you like it. 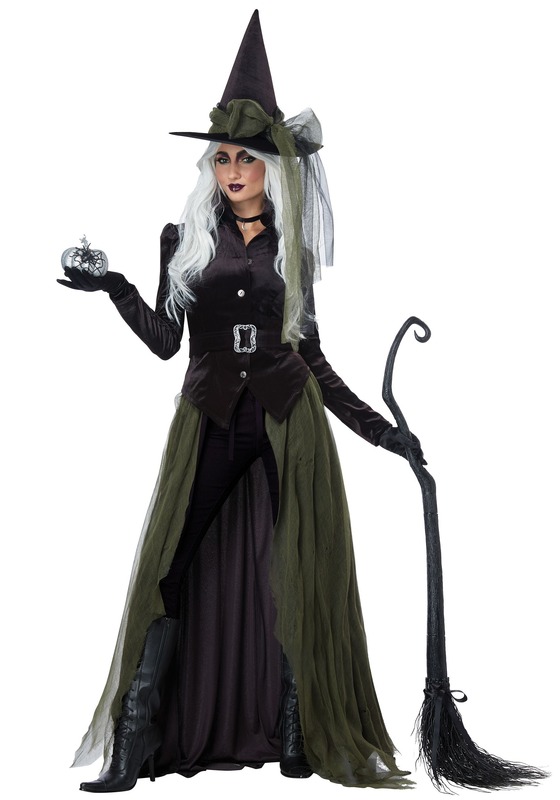 The costume features a velvet-textured top that has just the right balance of Salem and style. The outfit is really made by the awesome green cape with it's ragged hemline and mossy gauze exterior. Are you ready to meet your new persona? This costume can be tweaked to suit your style just right. Pair the top with anything from a pencil skirt to torn jeans. This witch does what she wants! From a dramatic witch wig to a curling broom like the one pictured in the photo, you get to accessorize to your heart's content. So that when it comes to your midnight coven meeting, you'll look the part of a highly skilled enchantress. Sure, maybe the cider you brought is only apples and cinnamon but with a look like this, it'll taste like a magical homebrew.